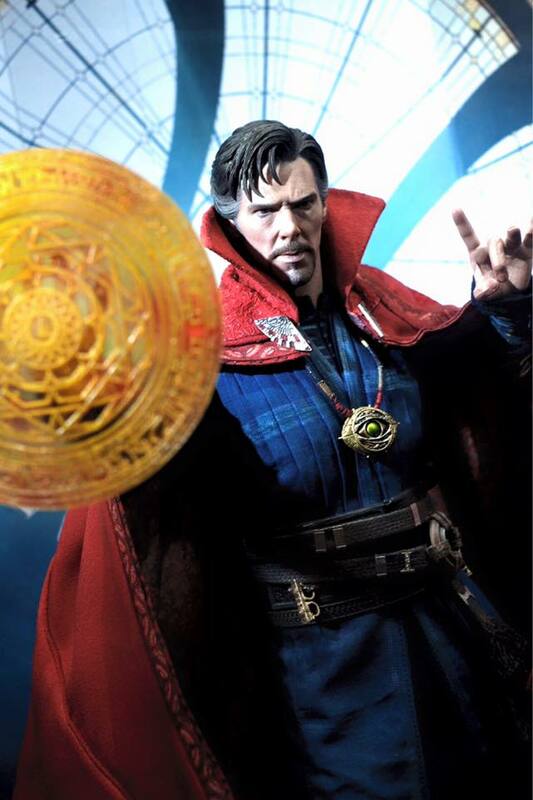 We’ve got another Doctor Strange figure this time from Hot Toys and I must admit, it looks very, very tempting. 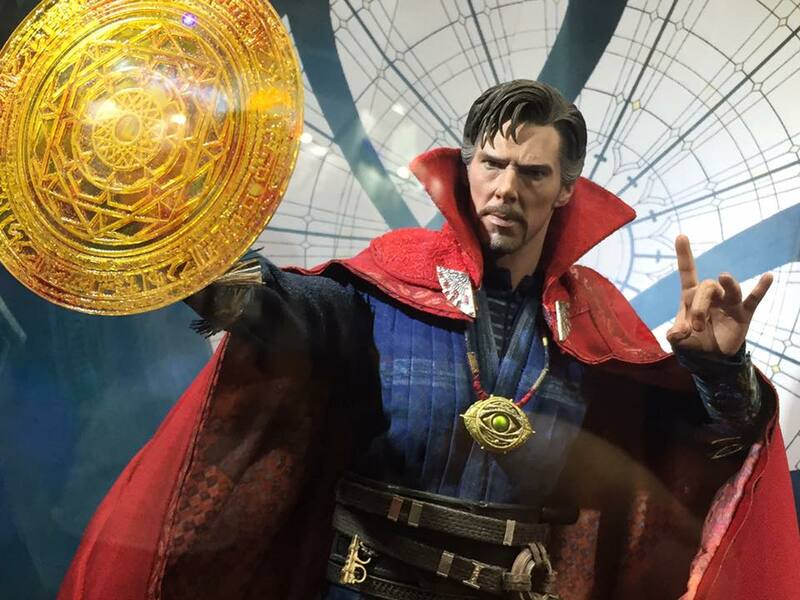 We did a quick look at the Doctor Strange Marvel Legend figure last week and now Marvel’s doing again on the one-sixth scale market. 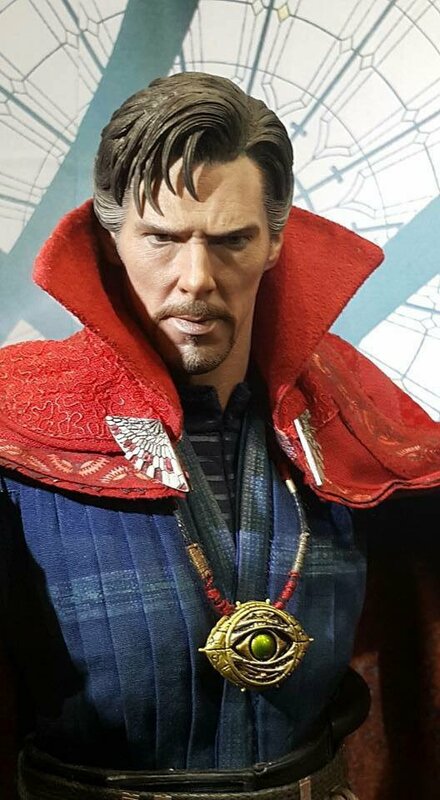 Gotta admit, the guys from this Hong Kong based toy company gets the details right, such as the face of Benedict Cumberbatch who plays Stephen Strange in the film. 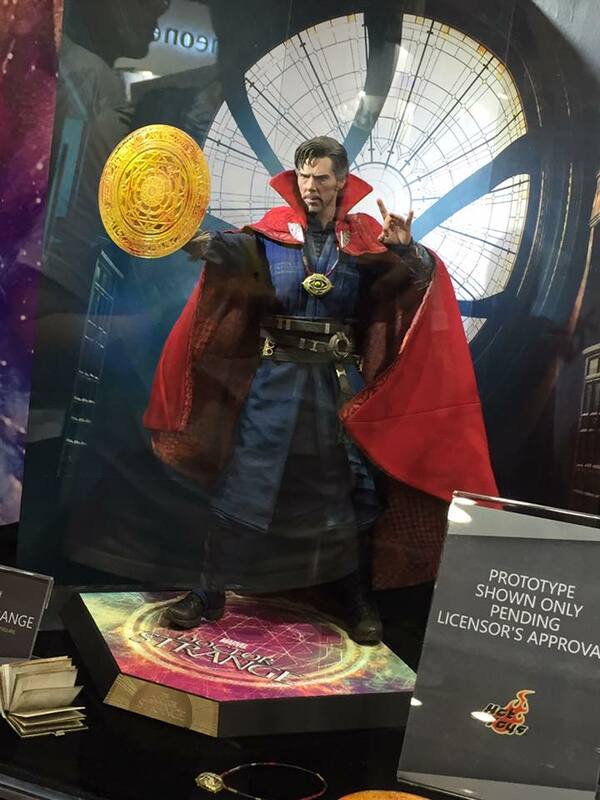 I’m also wondering if the figure would come in with the background, because for this case, its a necessity to have that background which happens to be the interior of Strange’s Sanctum Sanctorum. 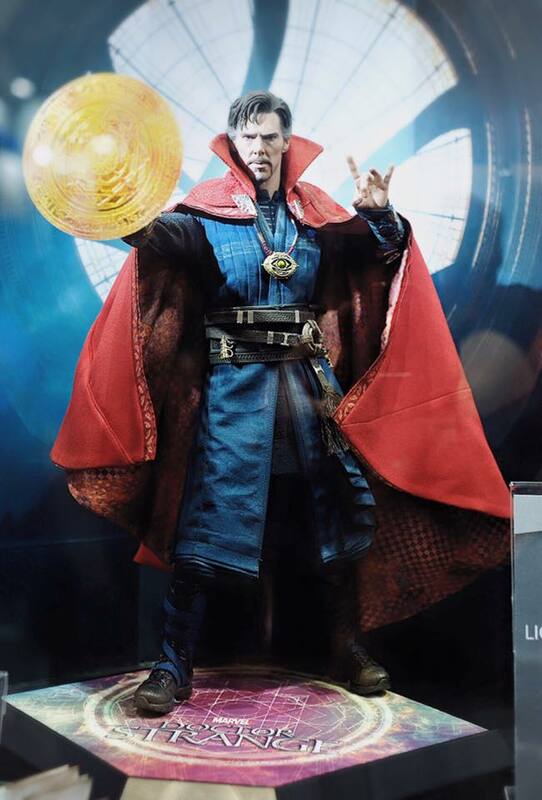 Rumors I hear is that this would appear towards the end of the movie as Strange would have already been awarded the role of Sorceror Supreme for the Marvel Cinematic Universe. 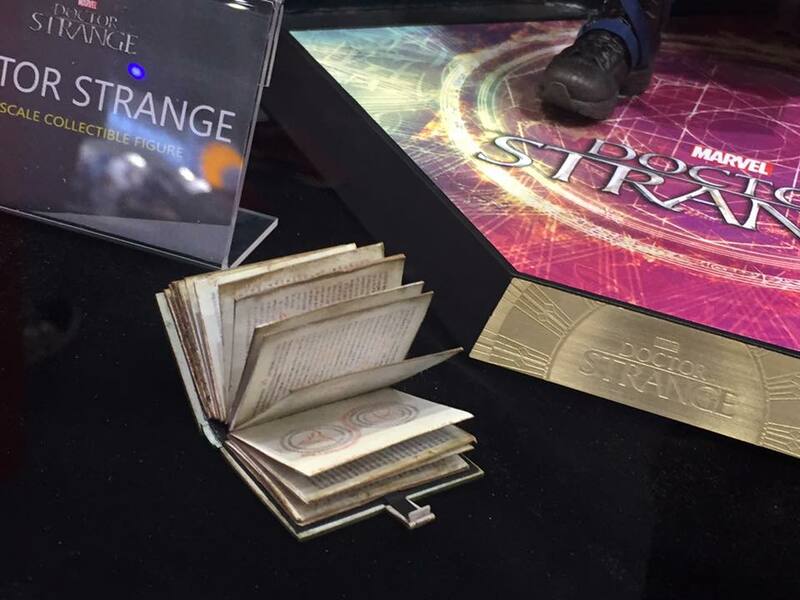 (Above) If I recall correctly, that has to be Grimoire of Watoomb, Strange’s spellbook in the 616 Universe. 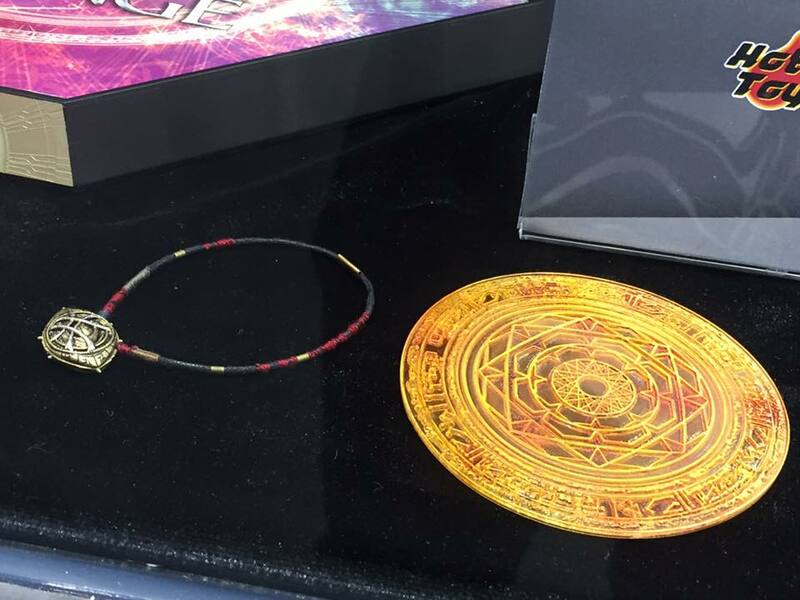 (Below) Of course we also have the Eye of Agamotto. Or maybe not. I kinda recall seeing the Eye in the first Thor movie when the Frost Giants were raiding the Asgardian gallery. Remember that? It’s sitting beside one of the two Infinity Gauntlets in the MCU if I’m not mistaken. Synopsis: Marvel’s Doctor Strange follows the story of the talented neurosurgeon Doctor Stephen Strange who, after a tragic car accident, must put ego aside and learn the secrets of a hidden world of mysticism and alternate dimensions. Based in New York City’s Greenwich Village, Doctor Strange must act as an intermediary between the real world and what lies beyond, utilizing a vast array of metaphysical abilities and artifacts to protect the Marvel cinematic universe.